Okay, so the Pokémon Go craze is officially on! Besides being exposed to potential road accidents, randomly finding a dead body or waking up with a bunch of Pokémon players in your backyard everything is fine and dandy. Oh, and of course….the dreaded battery drain. Pokémon Go uses your phone’s GPS and also, the game will continuously sync data between your device and the game servers so no wonder the battery drain is terrible. There are a few ways to prevent battery drain while playing Pokémon Go, or at least limit it to a considerable extent and I’ll explain how you can do it below. Besides the above-mentioned ways in which the game uses up battery, it also requires the screen to stay on for it to keep searching for Pokémons, yet another way that contributes to wasting a charge which can be easily done in under an hour (sadly). Worry not, though, there are several ways to prevent battery drain while playing Pokémon Go and the first one is…. Some optimizations are expected to reduce battery drain but until then you should make full use of the built-in Battery Saver because it does make a difference. With the Battery Saver enabled, the refresh rate is slowed down. To activate this feature, tap on the Pokéball on the game’s main screen. Then, tap on the cog icon located in the upper-right corner of the screen to access the Settings and on the next screen enable the ‘Battery Saver’ feature. 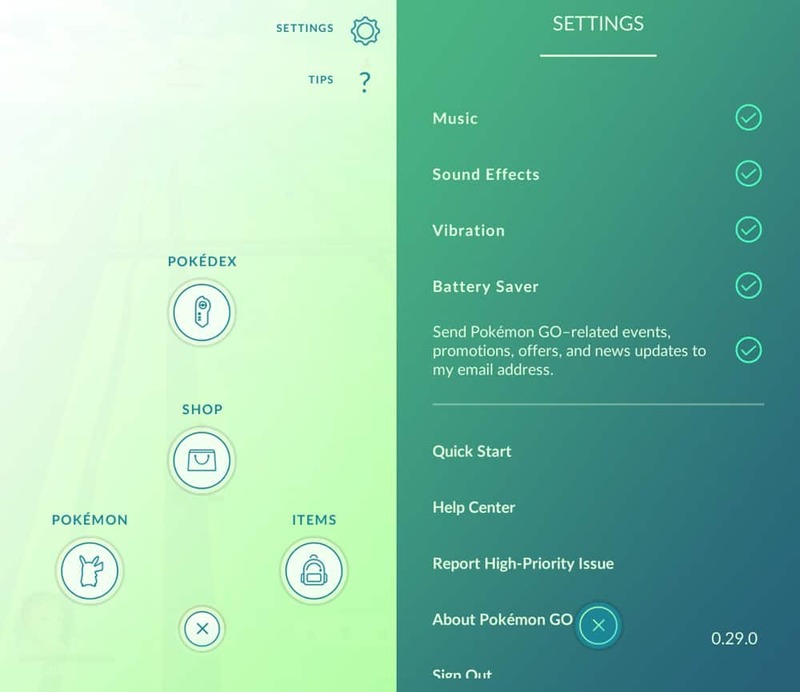 Sound coming from your speakers also use up battery (everything does), so if you want to save battery while playing Pokémon Go disable Music and Sound Effects in the game’s Settings (you can get there by following the steps mentioned above). If there’s one thing that eats battery like crazy besides the screen of your device is using the camera all the time. Pokémon Go’s AR overlay also uses the camera but you can disable it and save a good chunk of battery in the process, which will ultimately allow you to play for longer without having to plug in your phone to re-charge it. While on the main screen, flip the switch next to the AR option before you’re about to catch a Pokémon. 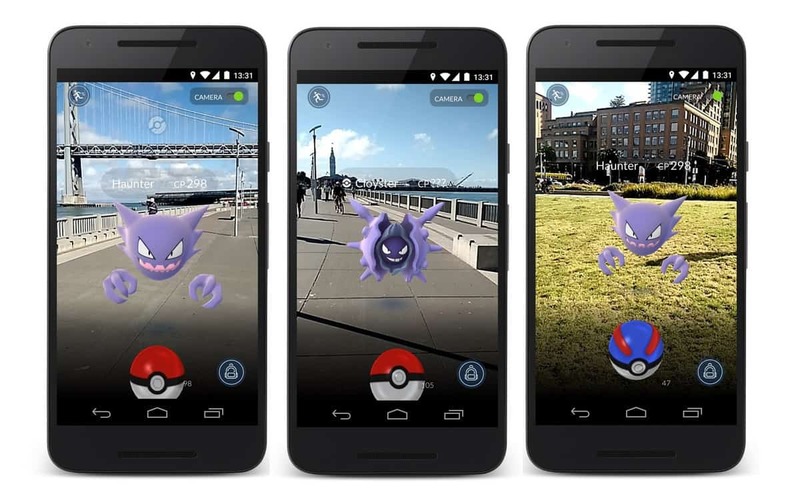 Besides saving some battery, toggling off AR will replace the real-world overlay with an in-game background and will keep the Pokémon nicely centered on the screen making it easier to throw a Pokéball at it. While playing Pokémon Go in the house, you will probably use your home WiFi for the purpose, but not when you’re outside chasing for Pokémon in the wild. So, for as long as you plan to rely on your data connection, keep WiFi disabled. Even if you’re not actually connected to WiFi, your phone will be actively searching for nearby connections which does drain the battery to a certain extent and we certainly don’t need these on top of the game’s usage. You won’t need Bluetooth to play Pokémon Go so it’s best to simply turn it off. Of course, if you plan on buying the Pokémon Go Plus wristband which is scheduled for release at the end of July, you will need to have Bluetooth enabled, but until then just keep it disabled. Typically, there are several apps running in the background on any device. Hopefully, you can live without some of those so if you’re on Android head over to Settings -> Apps -> Running, select the app which you’d like to disable then force stop its processes. iOS users will need to double-click the Home button to see all currently running apps and swipe up the ones you want to close. Since you need to keep the screen on at all times, it’s best to at least lower its brightness to the point the game is still visible of course. If you’re outside and you’re going in and out of sunny areas dimming the screen too much is impossible and in this situation, perhaps it’s better if you keep brightness set to Auto, allowing your device to re-adjust it based on fluctuating conditions. Speaking of, if you’re playing on an Android device, check out these apps that can keep the screen awake for specific situations and apps. These can also help you keep the screen lit only for Pokémon Go and not for other apps so you won’t be using more battery than needed. Do you know any other good ways to prevent battery drain while playing Pokémon Go? Share them with us in the comments section below!